Having your Web browser remember your passwords and/or credit card details can be convenient, but it poses some security risks. How much of a risk depends on which browser you’re using, whether you sync with other devices, and whether you’re using any of the browser's extra security features. Here are the main vulnerabilities in some of the most popular browsers—Internet Explorer, Google Chrome, and Mozilla Firefox—and ways you can protect against those weak spots. Some browsers let you (or, potentially, thieves) view a list of your saved login credentials, including the site, username, and password. And for those that don’t, utilities like WebBrowserPassView can easily let you compile a list of them. This is handy if you forget a password or you want to evaluate all your passwords, but it's problematic if an intruder uses such software on your computer. Another way you (or thieves) can recover saved passwords is by using a utility like BulletsPassView to reveal the password behind a masked password field on a webpage or window. 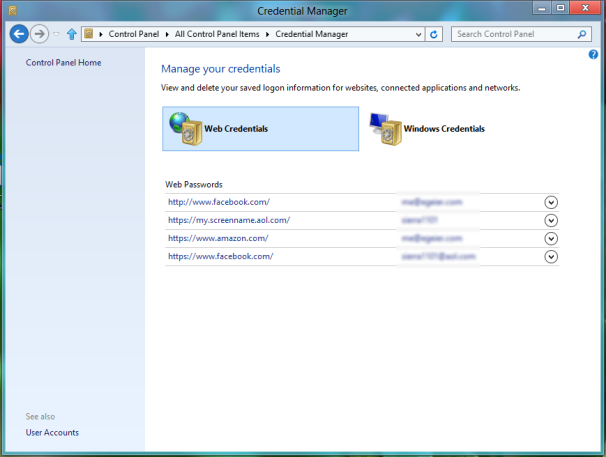 Windows 8 will also offer a new synchronization feature that lets you sync passwords for apps, websites, and networks—in addition to Windows settings and preferences—across your other Windows 8 computers and tablets. For security reasons, before you sync your passwords with a new computer or tablet, you must log in to a Microsoft site and approve the new device. And if you’ve specified a mobile number on your Microsoft account beforehand, you'll get a confirmation code texted to your mobile phone that you must enter on the Microsoft site before the trust is granted and passwords are synced. For privacy, Chrome masks each saved password with asterisks, but you can click the entry and press the Show button to reveal the actual password. You can also change the password, but unfortunately Chrome doesn’t sense password changes, so it won't prompt you when you log in to a site with a new password. You must go to the saved password entry and update it manually. You can view a list of all saved addresses and credit card details, including the name on card, the account number, and the expiration date. Chrome partially masks your credit card numbers with asterisks, but you can click the entry and then click Edit to reveal the full number. The only card detail not saved is the card's security code, which is often—but not always—required to make purchases. 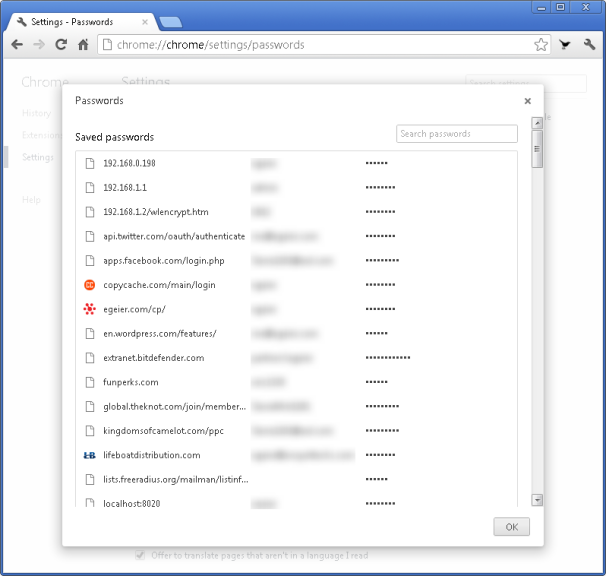 Firefox offers advanced password-saving features that are even better than Chrome's. 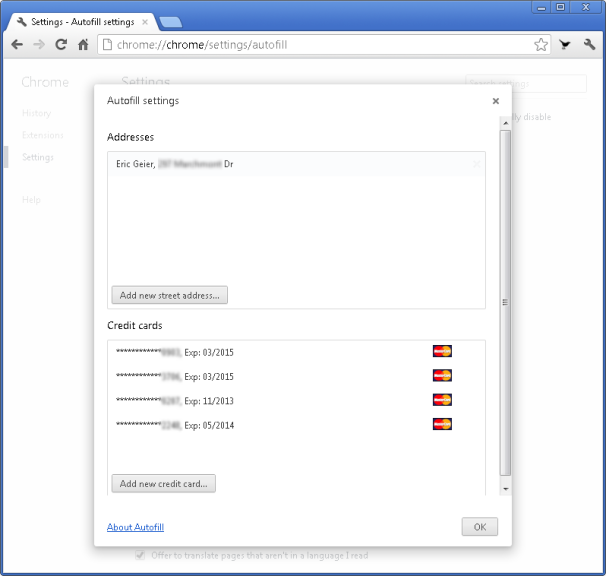 But while Firefox doesn’t natively support saving credit card details, at least that's one less security issue you need to worry about. 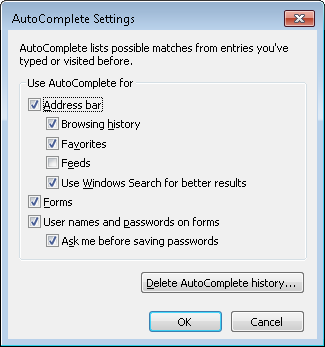 As with Chrome, you can browse, search, and remove saved passwords via the Firefox settings. Though you can’t change the passwords in the settings, Firefox automatically senses password changes you've made elsewhere and asks if you want to update your password when you log on to a site with a password that’s different than what’s saved on your PC. 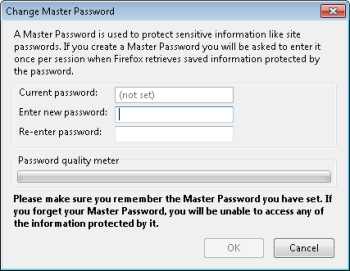 Firefox lets you set a "master password" to add an extra layer of security. 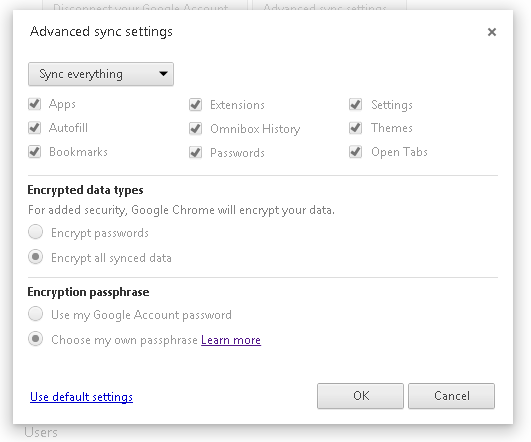 This is similar to what Chrome provides, but by default Firefox encrypts all synced data instead of just your saved passwords. 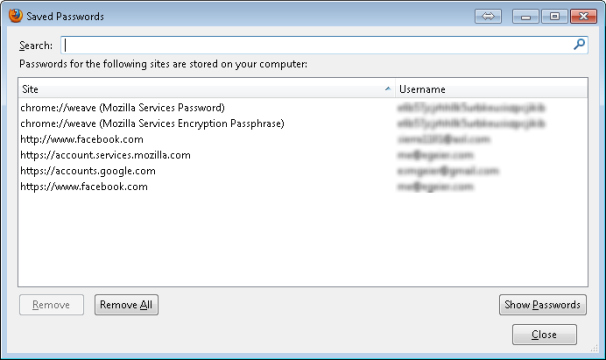 Additionally, there’s more security when you add a new computer or device to your Firefox Sync account. You can either enter a passcode from the new device into one that you've already set up, or take the recovery key from a device you've already set up and input it into the new device after logging in to your Firefox Sync account.